MIRS- Multi-influence Ranging System for measurement of underwater signatures of ships and submarines. When acting in a modern naval operations environment, surface and submarine vessels are subject to numerous detection threats, owing to the influence of the signatures that characterize them (acoustic, electrical, magnetic, pressure and seismic). 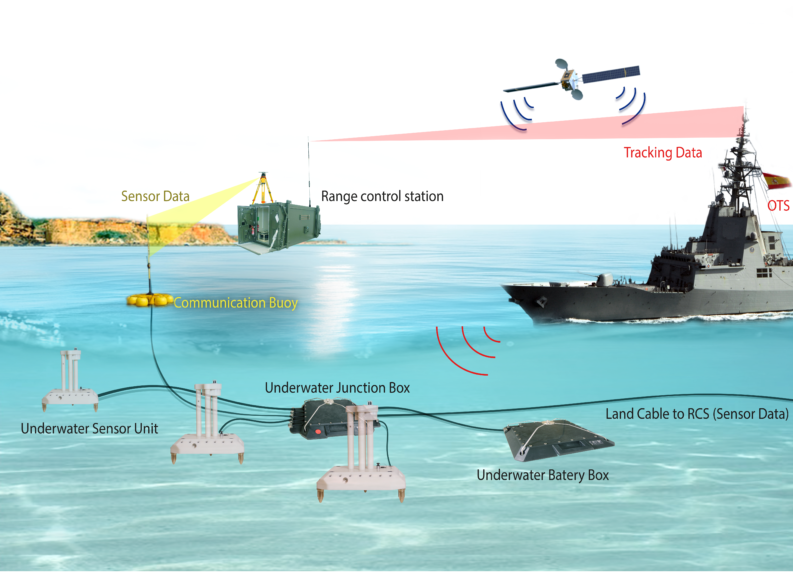 Current naval mines include new sensors for activation (UEP-Underwater Electric Potential, ELFE -Extra Low Frequency Electric Field, seismic, acoustic, magnetic, etc. ), as well as advanced digital signal processing techniques capable of exploiting these influences to the maximum. MIRS measures all signatures accurately. The Multi Influence Range System (MIRS) for surface vessels and submarines provides, simulatenously, real measurements of following influences: magnetic, electric, pressure, acoustic, and seismic. Portable station. Maximum precision anywhere. Since this is a portable station, it can be used in any scenario and with multiple objectives: for obtaining the vessel’s signature in a real scenario, used on a fixed station, as a discreet way of obtaining intelligence in strategic areas, routine signature checks or prior to a mission. MIRS is a high performance and precision system which, thanks to its light weight and low consumption, is easily deployable by two people from a rubber pneumatic boat and installed at the desired location in order to carry out the vessel’s measurements. This is a very robust system with minimal maintenance requirements, offering very good results when submerged for long periods of time as a fixed measurement station. Use for calibration and testing. Systems designed to reduce the influence of ships such as degaussing systems, ASG (Active Shaft Grounding), etc. MCM (Mine Countermeasure) systems, such as minesweeping gear systems. 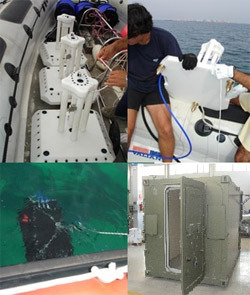 Measurement of underwater signatures: acoustic, magnetic, electric, seismic, seismic and pressure. Database. Storage, analysis and management of signatures. Real-time monitoring, graphical display and recording of different measured influences. Architecture based on COTS components. Wireless or cabled options for transmission of the data to the Analysis center. Modular design. Scalable and easy to carry. SWAMEG electric and magnetic signature generator. This system is used to calibrate the MIRS system as well as any signature measuring station. SWAMEG generates magnetic and electrical signatures of known levels, facilitating the maintenance and calibration of measuring stations.